Artist’s work featured in Houston exhibition. Above: Mabrouk, Manar! 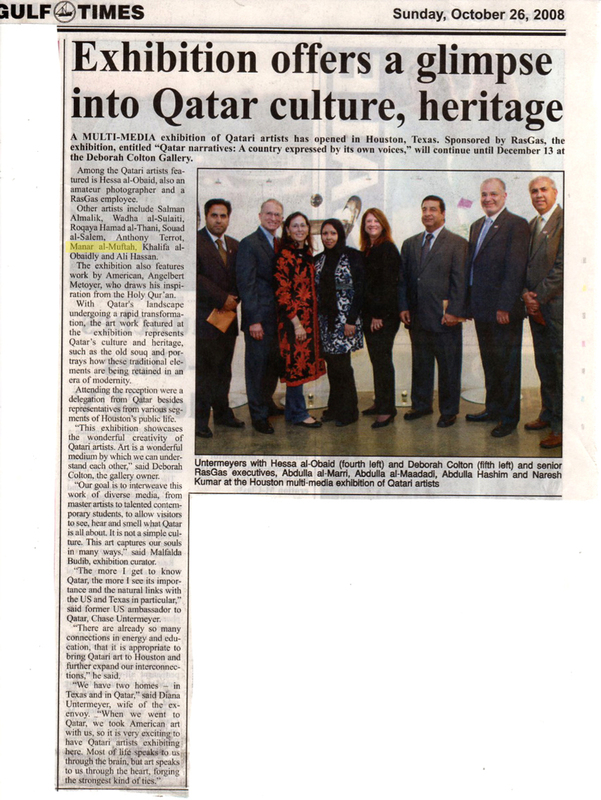 This just in via Doha, Qatar, a clipping from the Gulf Times. Some of Manar’s recent work is featured along with several other Qatari artists. This entry was posted by Erik Brandt on Wednesday, October 29th, 2008 at 9:35 AM	and is filed under Aktuell, Art, Education, Globalization, Graphic Design, Typografika, Typography.